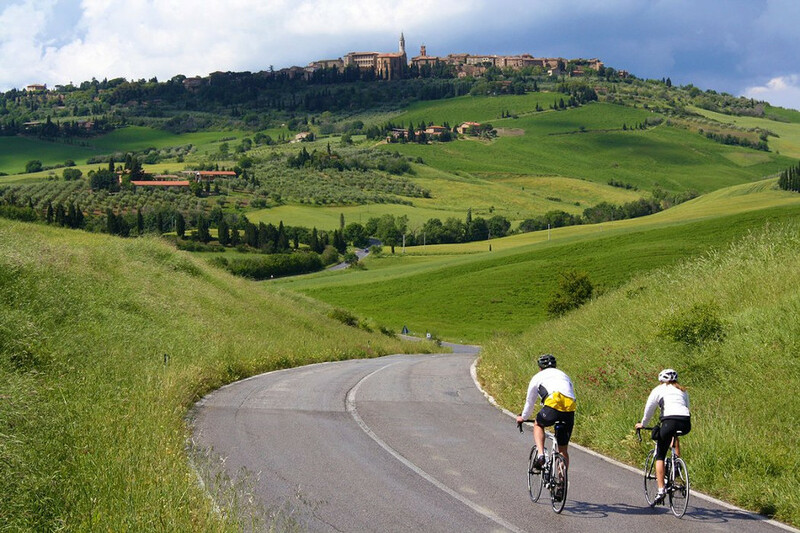 This leisurely, professionally guided and supported bike ride in the alluring Tuscan countryside just outside of Florence, will lead you through a picturesque landscape made of olive groves, vineyards, medieval castles, hillside villa estates and breathtaking panoramic views of Florence, riding through the heart of Tuscany into the famous wine area called Chianti. This tour is a full day among the Tuscan landscapes, with a stop for lunch at a private Chianti Villa Estate, where you will enjoy a guided tour of the vineyards, the ancient cellar and the “Orciaia” below the medieval tower. Local wine tasting will accompany your meal. After lunch we ride back to our bike depot where we leave the bikes and jump in the minivan for a safe drive back to where we picked you up in the morning. We will meet you and drop you at our meeting point in Florence and take you with a shuttle (about 15 mins ride) to the Chianti area. 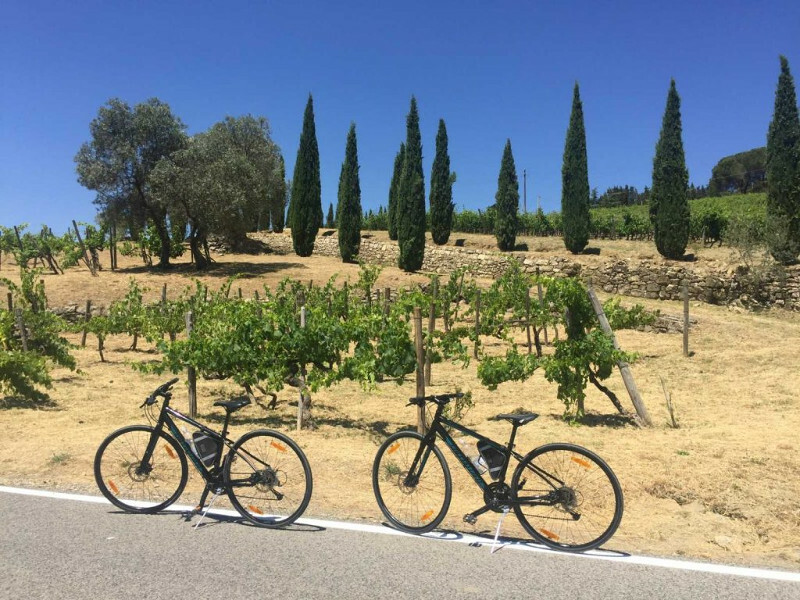 We provide quality speed bicycles, helmets, water bottles, a delicious Tuscan lunch, winery guided tour and tour guide. We can customized your experience according to your requests. We are dedicated to organize Chianti Classic Cycling & Tasting Full Day Bike Tour in Tuscany for individuals, couples, families and groups.